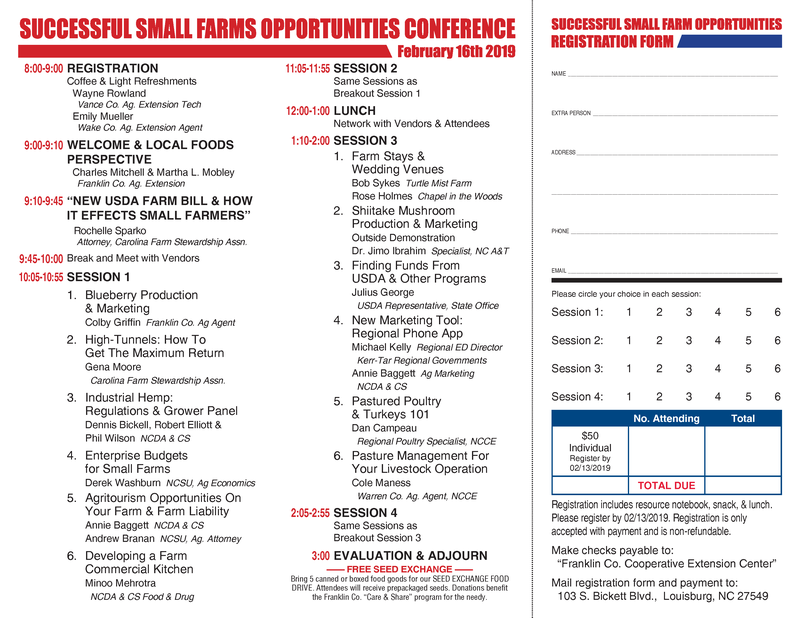 The popular regional “Successful Small Farms Opportunities Conference” will be held at Louisburg College campus in Louisburg on Saturday, February 16, 2019, from 8 a.m. to 3:30 p.m. Topics include Updates on the new Farm Bill and how it affects small farmers, Blueberry Production & Marketing, High-Tunnel Greenhouses, Industrial Hemp: Regulations and Growers Panel, Agritourism Opportunities on your Farm & Farm Liability, Small Farm Enterprise Budgets, Developing a Farm Commercial Kitchen, and more. In addition, there will be a free Seed Exchange again this year for participants. There will be a small fee to participate. To register for the conference and for more information call the N.C. 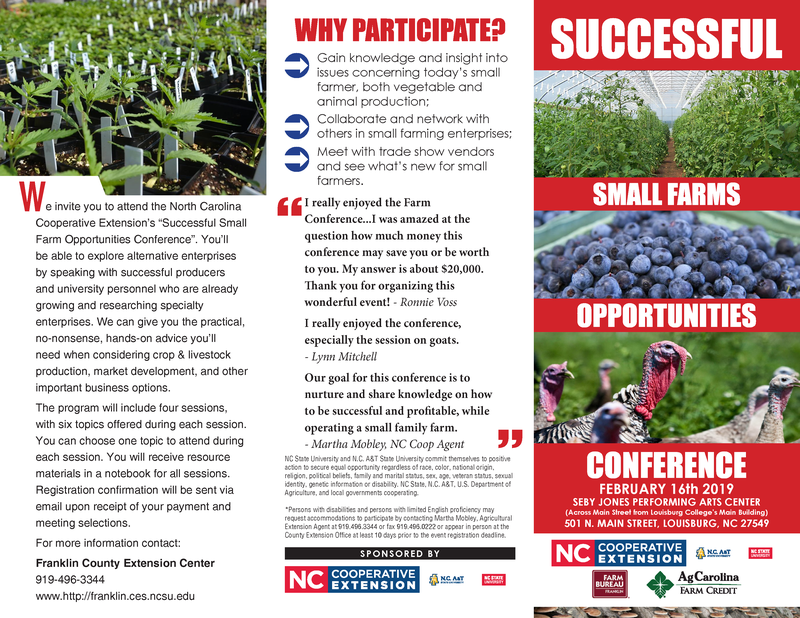 Cooperative Extension of Franklin County office at 919-496-3344 or email martha_mobley@ncsu.edu for program details.